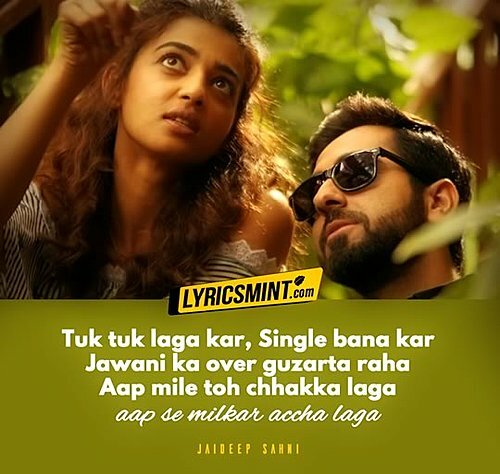 Aap Se Milkar Lyrics from AndhaDhun: The peppy romantic song is sung by the actor Ayushmann Khurrana himself featuring Aakanksha Sharma on vocals. 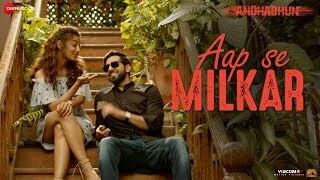 The song is composed and produced by Amit Trivedi while “Aap se milkar accha laga” lyrics are written by Jaideep Sahni. The song is from Ayushmann Khurrana and Radhika Apte starrer Bollywood mystery thriller film AndhaDhun. Accha laga.. Ho accha lagaa..